be kind to cyclists. one of them is my husband. My man on his bicycle. If you see him on the street, please share the road. When you’re driving down the street and end up behind a bicyclist, how do you respond? Do you get frustrated that the cyclist isn’t going 10 mph over the speed limit as you’d like to, and try to whiz around them? Failing that, do you tailgate them or honk at them? Do you yell that they should ride on the sidewalk? Do you think angry thoughts that they’d dare to ride on the road? 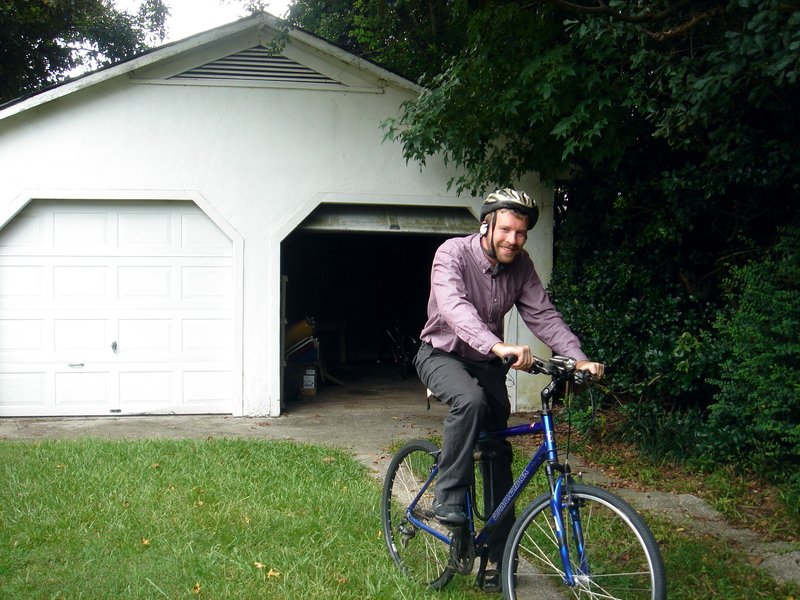 My husband commutes 3 miles to work by bicycle each and every day. He’s learned the hard way that drivers are not concerned for his safety, will run red lights or will turn into him as he crosses an intersection, and in fact believe he should not be on the road at all. You need only to read the comments on this local news story about bicyclists to understand why he was ACTUALLY AFRAID FOR HIS SAFETY after reading the piece. Several of the commenters expressed, angrily and in all caps, that bikes don’t belong on roads, and suggested that they feel the urge to run over cyclists with their cars. One commenter even suggested that he’d like to run over cyclists, back up, and then run over them again. I honestly worry about my husband’s safety on his bike every single day. A "Ghost Bike" we saw in NYC. 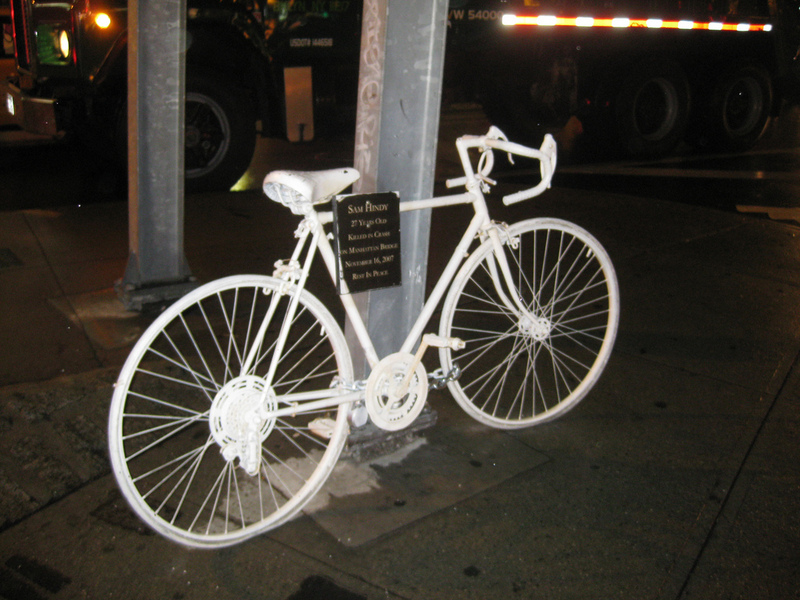 Ghost Bikes memorialize cyclists killed by cars. Many of the commenters seemed to think that if cyclists get injured, it’s their own fault. Actually, CARS cause most bicycle accidents. My work-study student was struck by a car while cycling home from campus just this week! Many car drivers want cyclists to get off the roads and onto the sidewalks. Actually, it’s ILLEGAL for cyclists to ride their bikes on sidewalks. Sidewalks are for pedestrian traffic only, and as a pedestrian, I appreciate not having to worry about being hit by bicycles. Bicycles are required to use the roads, and drivers are required to SHARE THE ROAD. Speed limits, which some drivers seem to think are posted as requirements for minimum speed in order to be allowed use of the road, are actually UPPER limits. More drivers need to be made aware of the law concerning bicycles. For example, bicyclists do not have to come to a complete stop at stop signs or red lights if the coast is clear, unlike cars. Instead of getting angry at cyclists, more drivers should be thanking them. More bicycles means fewer cars on the road, which cuts down on traffic. Over half of all car trips in the US are under 5 miles. If those trips were made by bike, we’d have a lot less congestion on our roads. And less traffic means better economies, really! Bicycling contributes $133 billion to the US economy annually and supports 1.1 million jobs (pdf). In addition, more bicycles means less emissions, which means cleaner air and less smog for all of us. And in a time when we’re all so keenly concerned about the public health costs associated with diabetes, more cyclists mean more healthy people at lower risk for heart disease and obesity. One study found that cycling saves Australia $200 million annually in public health costs. So the next time you’re driving down the street with a cyclist in front of you, please remember that that might be someone’s husband. Or daughter. Or mother. Or uncle. Or friend. Please share the road. And maybe even thank the cyclist for helping make your city and your planet a better place. It’s all about courtesy. Drivers need to be more courteous and patient and bicyclists need to likewise be more thoughtful, especially in heavy city traffic. And both need to stop almost hitting me when I’m legally crossing the street in a crosswalk! What really needs to be developed, though are more bike lanes on roads. They go a long way in making everyone safer. I actually told my husband just the other day that I would love to ride a bicycle to places in town but would only do so if our town provides more bike lanes. I believe there are bike lanes on campus, but that does me no good. I would be terrified to try to ride a bike in normal traffic, because drivers here are nuts. People are so impatient in general. I worry about impatient careless drivers all the time when I’m out running. amen! my jed is a road biker, and rides his bike every day in this crazy city. luckily the area we live in is pretty bike friendly, but i still worry about him constantly. i have started riding my new bike to the grocery store. i love it! i only have to cross one major street, but people are crazy and it is scary. I used to bike in Charleston but almost always a) on the sidewalk and b) on the tiny sidestreets. I tried to ride my bike to work here in CT for a few weeks but people we so unbelievably rude and dangerous I gave it up when I found out I was pregnant and drove the less than 2 miles every day. The only bike shop in town is about 3 blocks from our ‘hood, and we see cyclists all the time. Since I can’t get enough “teachable moments” in my day, we use it. 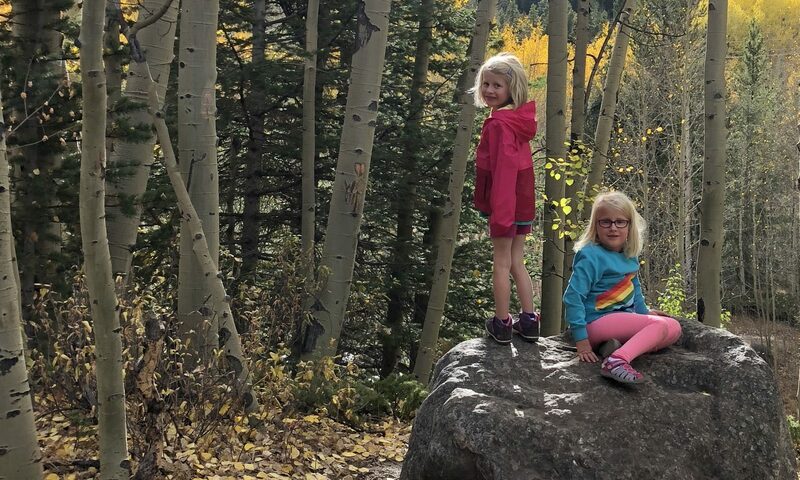 We count the bicycles, we double it to find out how many spinning wheels pass us; we wave to the spandexed ones, we talk about sharing the road; we remark on how healthy it is to exercise and cut down gas usage. Hilariously, my first thought was along the lines of “OMG, so, unicorns poop rainbows and bicycles poop LASERS!” Seriously thought, if that was a real product, I’d buy it for Jon tomorrow.